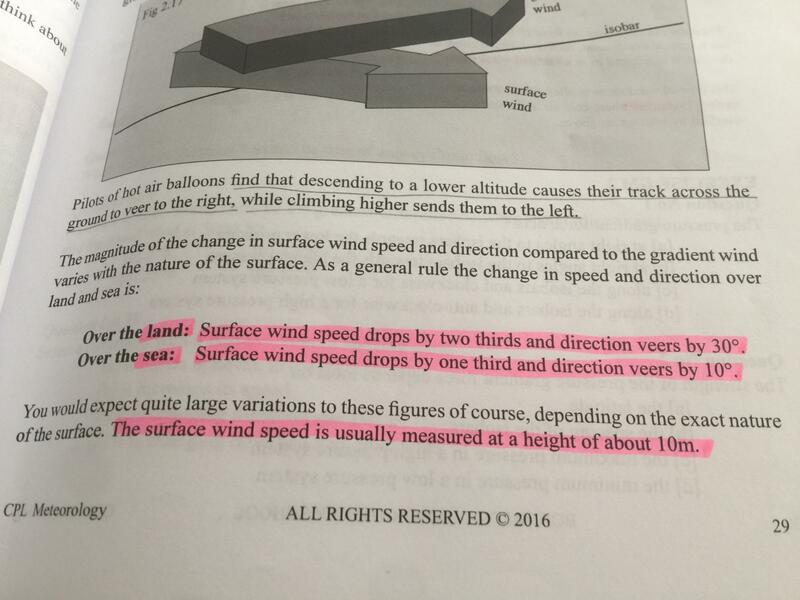 My understanding (as per BT textbook) was that friction over land is more and the surface wind speed drops by two-thirds over land and veers by 30 degrees. However, in a Bureau of Meteorology online course it was said that wind speed over sea drops by two-thirds. Could you please let me know which one is correct. Attached is a picture of both. I think you will find that the Bureau of Met book says that the wind speed over the sea is reduced TO two thirds of the gradient wind. In my book I said it is reduced BY one third. Both are saying the same thing.